The use of props really helps to convey your newborn’s personality in the photos. Props can help bring any feel to a photography session that you feel appropriate for you and your newborn. 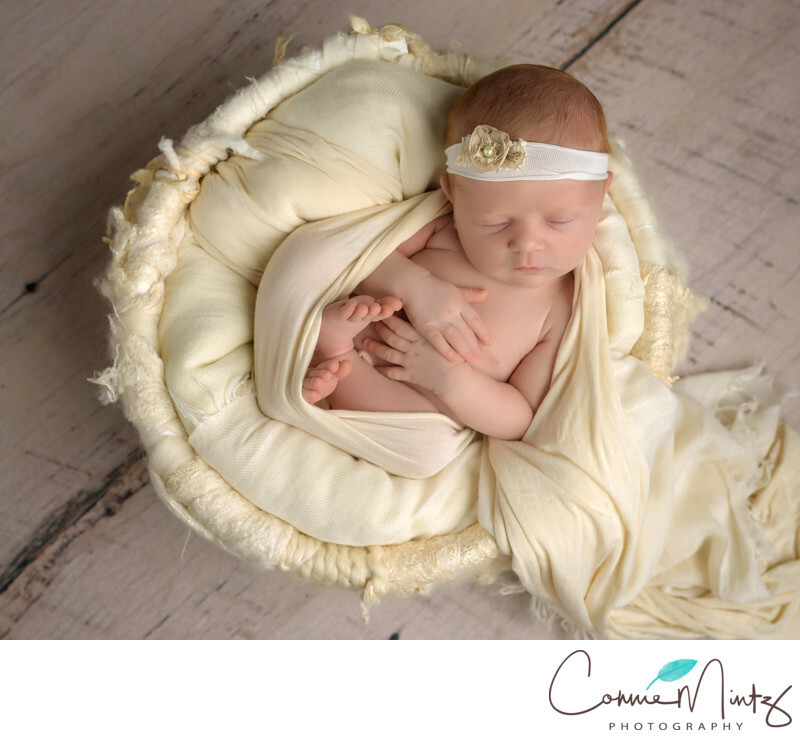 You can call me at 360-606-7313, or you can reach me by email at mail@conniemintzphotography.com to book a session. Location: 13611 NW 44th Ct Vancouver WA 98685. Keywords: bowl (9), cream (18), flokati (9), infant (15), newborn (123). 1/160; f/3.5; ISO 100; 35.0 mm.